Like so many of us, I learned this poem in primary school and can write these lines from memory. 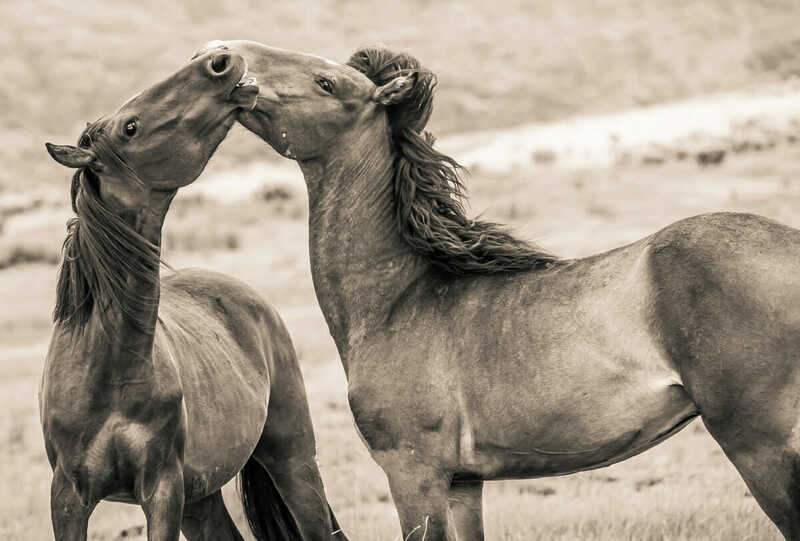 Brumbies, these ‘wild bush horses’, are a much-loved part of Australian history. The Brumby has carried us into the annals of legend, from The Man from Snowy River through World War I, to now. No, wait – not anymore. Now, Brumbies are deemed a feral pest in many parts of Australia and it is legal to hunt and shoot them, from helicopters, like vermin. A shocking way to thank these beautiful, loyal creatures that have done so much to help us. STB Tallagandra Rose, known as Rosie to her adopted family, is one such who might have been slaughtered had she not been rescued by Jan Carter from Save the Brumbies (STB) at the New England Brumby Sanctuary, Armidale. Rosie’s mother died when Rosie was just a few weeks old. The abandoned foal was found by a horse trapping contractor at the Guy Fawkes National Park, who took pity on Rosie and called Jan. Jan dropped everything to make the 10-hour round trip, bringing Rosie to their high-level care sanctuary at Bellingen. “Rosie was very weak, but she was still standing, and the Brumby is a hardy animal. 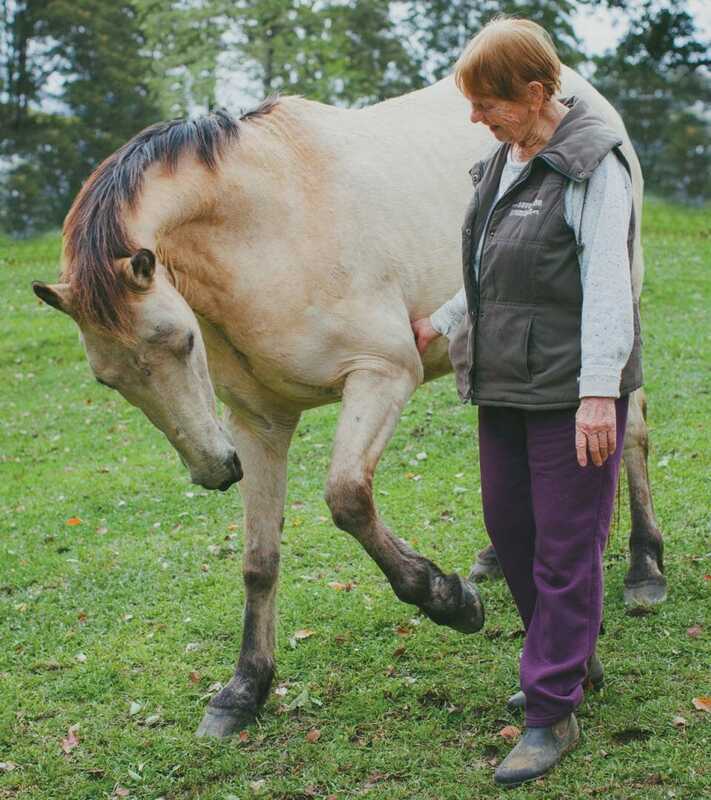 Even then her sweet nature shone through – we called her Rosie because she was so beautiful,” says Jan.
Rosie thrived under the loving care of Jan and her volunteers. She soon became a favourite with visitors and was eventually adopted by Elizabeth and Tom Testone, in the Southern Highlands of NSW. I ask Elizabeth why she chose Rosie. “Tom had been following the plight of the Brumbies and was devastated after hearing about the Brumby cull of 2000, right after Australia showcased the importance of these horses in the Opening and Closing Ceremonies of the 2000 Sydney Olympics. In 2006, I came across the STB website and decided to surprise Tom for his birthday by sponsoring a Brumby. By sponsoring a foal, we figured we had a few years to prepare before we officially brought her home. In October 2007 we went to meet Rosie in person and that is when our love and devotion for Brumbies officially began. He was hard and tough and wiry — just the sort that won’t say die — There was courage in his quick impatient tread; And he bore the badge of gameness in his bright and fiery eye, And the proud and lofty carriage of his head. Horses from the Northern Tablelands of NSW were bred for the remount trade and known as Walers; the Brumbies today can be traced back to those early bloodlines, including the great Arabian stallion, Saladin. It was the Australian Light Horsemen who were first to cross the desert and enter Damascus in WW1, ahead of Lawrence of Arabia. Save the Brumbies is a registered charity petitioning for the Brumby, working towards the abolition of aerial or ground shooting of Brumbies, Australia wide. STB wants humane management plans introduced, that comply to RSPCA guidelines, supporting the continuation of healthy Brumby herds as a part of our national heritage. Indeed, the United Nations argues that all countries of the world must conserve wild horses to breed back the strength and endurance we have lost in domestic horses through inbreeding. Jan and her crew are all volunteers. The refuge runs on donations and sponsorships, which can be easily organised online as small monthly payments. In drought, feed is expensive, so any donations are gratefully received. Australians celebrate ANZAC Day as important to our national identity. But what of the beautiful horses who stood beside those ANZACs? Can we let their descendants be shot down like vermin? For never yet was mountain horse a cur.